Walking is one of my favourite forms of exercise. As much as I love running and cycling, a really good walk can make you feel just as well exercised Walking also allows you to absorb more. Drink in the views, read information signs and stop (regularly!) to check you are on the right path. I felt that, despite keeping up a low level of exercise over the Christmas period, I really hadn’t done enough. I also hadn’t got away and explored new paths; something which I love to do. I live closer to the city centre now than I ever have before and I often miss the accessibility of the countryside. But the bonus of being within walking distance of the city centre is the ease of access to public transport. Luckily my friend Natalie was up for an early morning start and a train ride too. 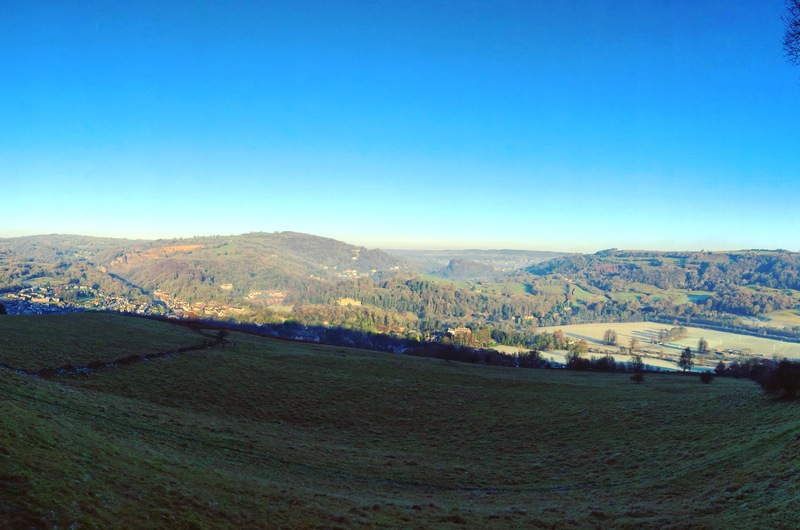 I did a bit of thinking and remembered a run from Cromford which had spectacular views. Not wanting to follow the exact route I had travelled before, I found another one on the OS Maps app. Even my walk to the train station was a little interesting, with icy pavements making for cautious steps. 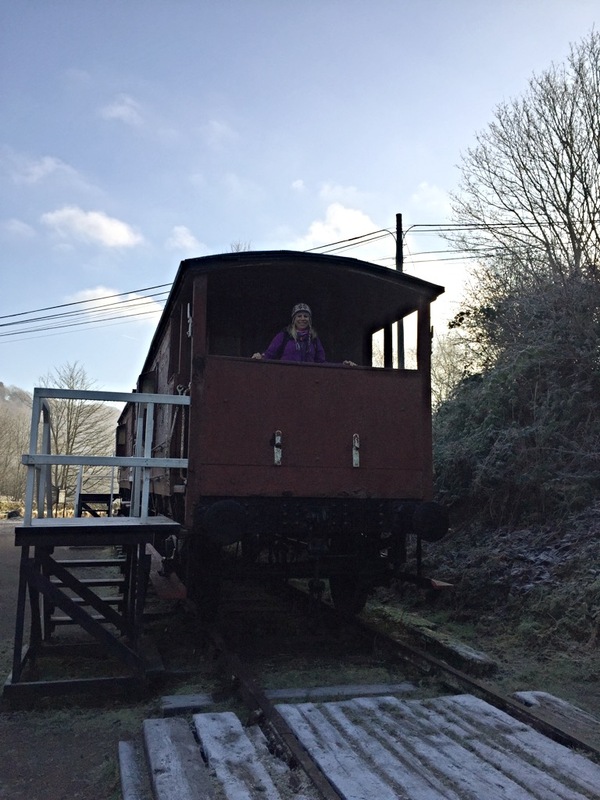 We grabbed coffees and boarded the Matlock train for our one hour journey to Cromford. 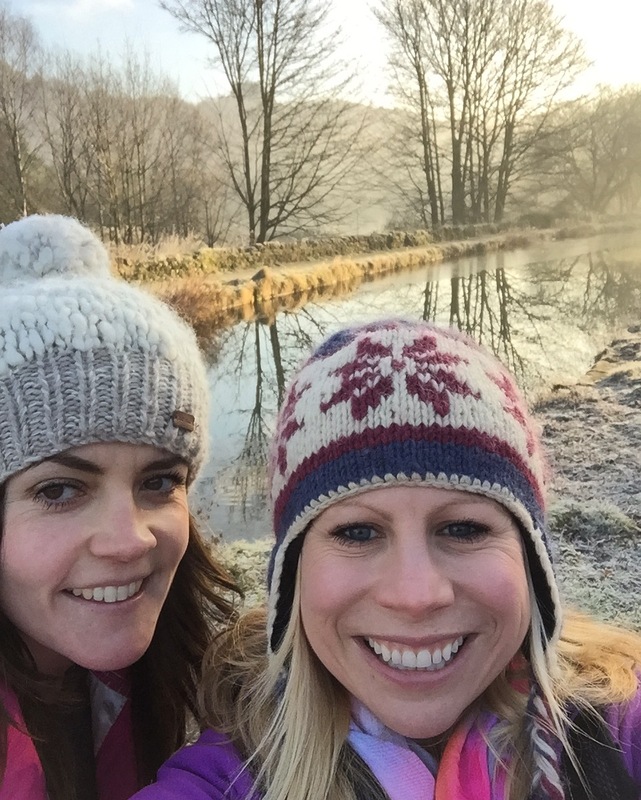 The frosty and misty morning made us both realise that we hadn’t put on too many layers. I always have a trusty foil blanket in my backpack just in case of any falls down ravines etc. 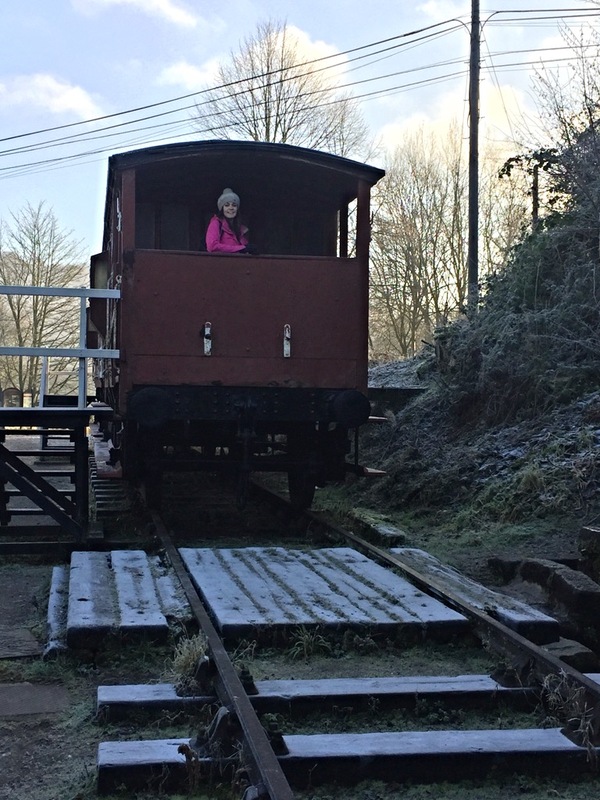 The approach to Cromford Station gave us a good taste of our walk surroundings and departing the train we strolled down into the village. The tiny, steep lanes we started up were covered in ice. We each stayed close to the dry stone walls lining them; something to grab hold of in case of a fall. We were certainly grateful for the grip which grass gave us as we headed higher up the fields and into wooded areas. Our route eventually joined the High Peak Trail, following the route of the old Cromford and High Peak Railway. Here the going evened out for a while and we were able to catch our breathe and catch up with each other’s lives. 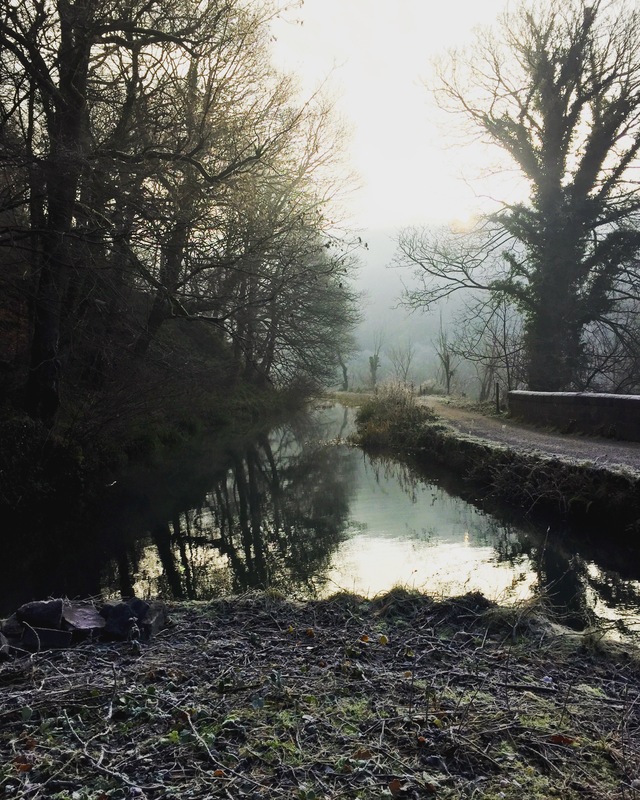 We passed old engine houses and crash pits (designed for runaway carriages) before eventually arriving back down at the Cromford Canal. Here, on the partially frozen water, a small, fluffy bird dived repeatedly under the water in front of us. We took its fluffy feathers to mean it was a young grebe of some kind, although it seemed too late in the year for juveniles. Having looked it up I now know it was a Little Grebe; known for their fluffy rear end! Following the canal for a while we eventually climbed away from it once more. Reaching high fences we entered a deer park and were delighted to spot the fallow deer grazing not far from us. From here we turned away from the village of Holloway and headed back towards Cromford. A couple of false trails later; including a rather interesting scramble up a steep slope in the woods, and we arrived back at the station. The walk was 7.5 miles and our reasonably brisk pace had got us round it in well under three hours. Cromford is a pretty little station so we settled down for our sandwiches whilst waiting for the train home. A debrief and photo checking session passed the time on the way home and we were back in Nottingham before 2pm. Not bad for a little adventure! You can view the route we took (including our slight detours) here on Strava. Many of the walking routes from Cromford are under five miles so it was good to find one a little longer. 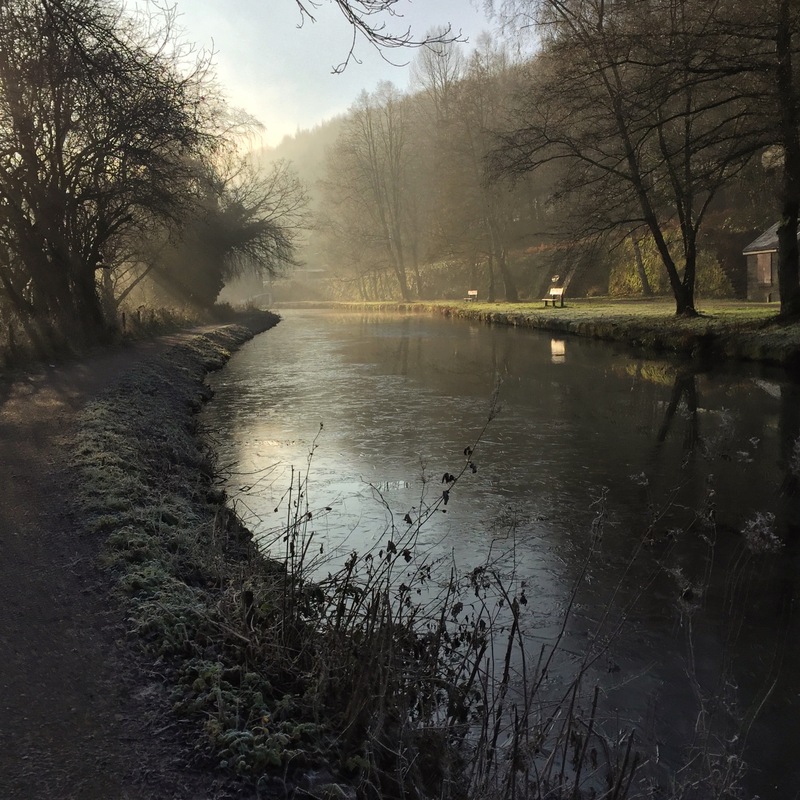 Get on a train and go for a walk in Cromford! Previous Post Merry Christmas From An Adventurous Girl! Next Post Hello To An Adventurous 2017!